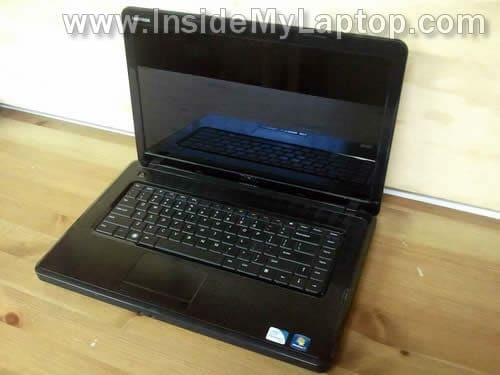 In this guide I’ll be replacing the LCD screen on a Dell Inspiron N5030 laptop. 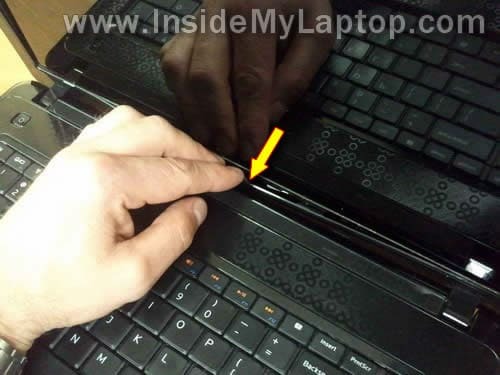 You should be able to use same instructions for Dell Inspiron N5020 and M5030 models. 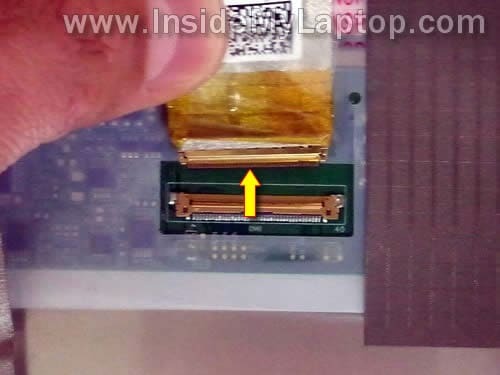 In this post I explain how to disassemble the display panel, disconnect the video cable and remove the LCD. 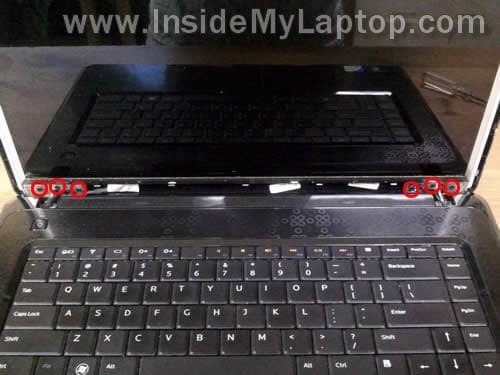 In my previous guide I explained how to take apart Dell Inspiron N5030/N5020/M5030 laptop body. 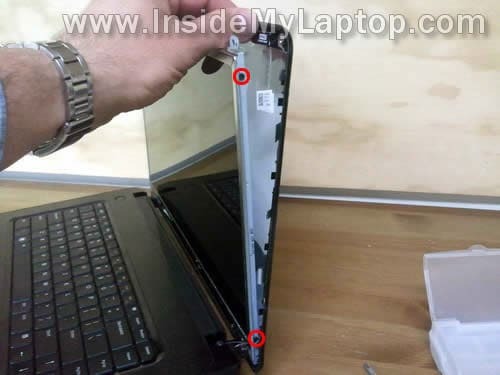 Make sure the computer is turned off and battery removed before you start the disassembly process. 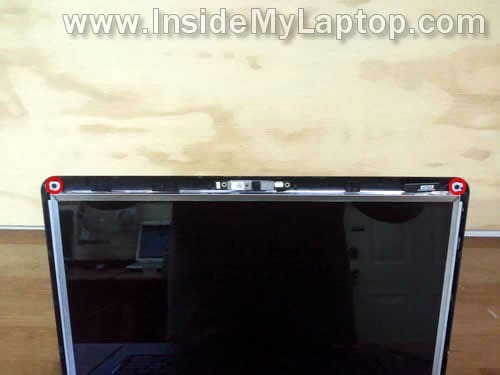 Insert your fingers under the bezel on the top of the display panel. Wiggle the bezel and separate it from the display back cover. Continue removing the bezel on the top and sides of the display assembly. 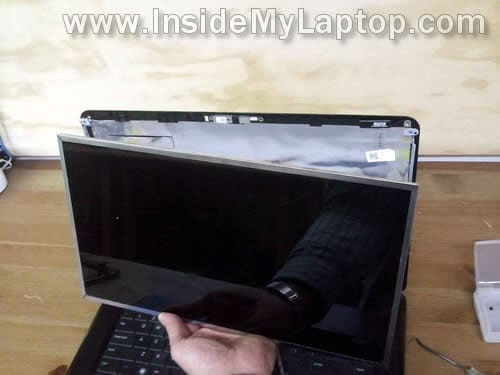 Carefully separate the bezel on the bottom part of the display. 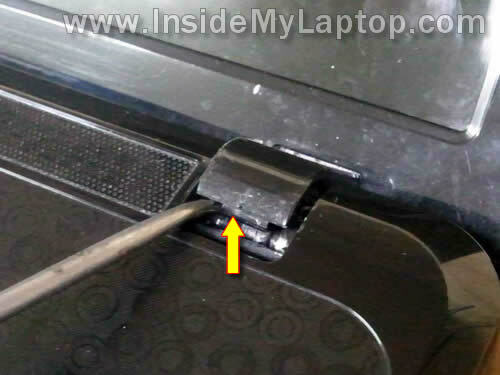 Lift up the hinge cover (part of the bezel) using a small screw driver. Continue separating the bezel on the bottom of the display. Remove the bezel from the display assembly. Remove two screws securing the LCD assembly on the top. 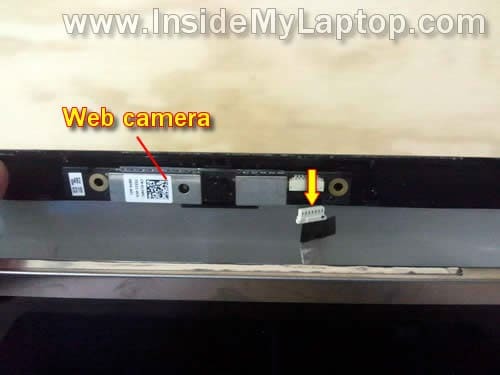 Carefully unplug the cable from the web camera module. Loosen (do not remove) six screws securing display hinges. 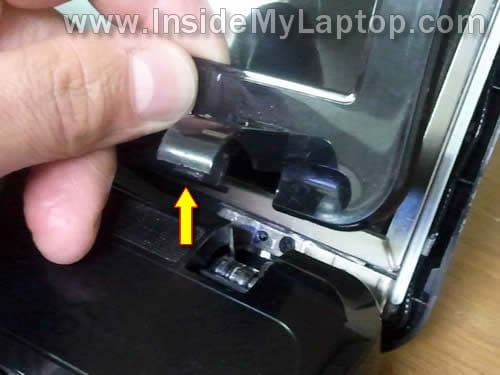 Remove two screws from the left mounting bracket. 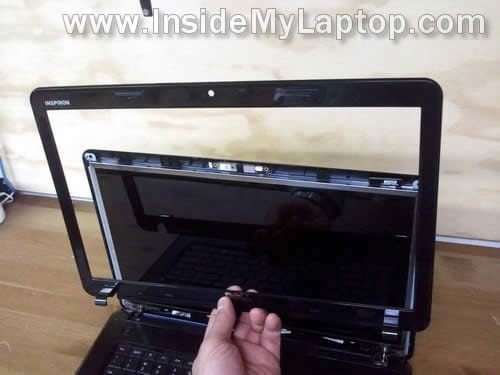 Now you can separate the LCD from the display cover and lay it down on the keyboard. Now you have access tot he video cable. The web camera cable is part of the video harness. 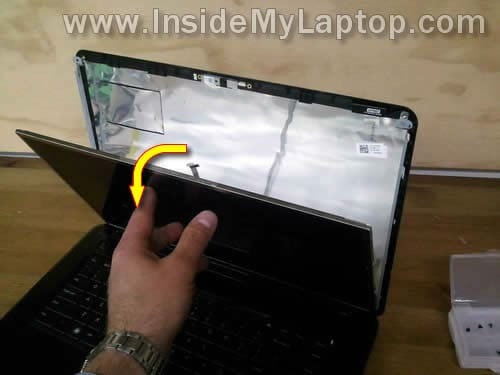 Now you should be able to remove the LCD screen and replace it with a new one. 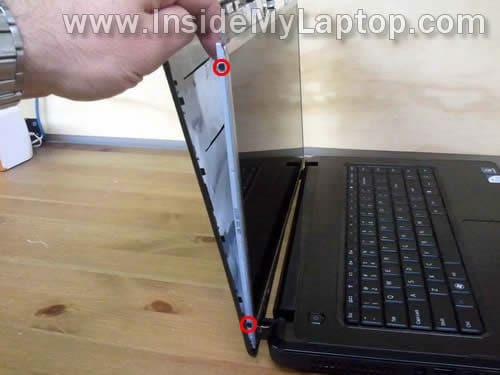 The best way to find a compatible screen is searching by the model number or Dell part number. Both numbers can be found on the screen sticker. 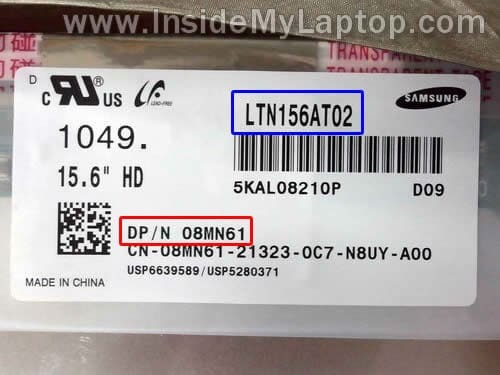 In my laptop I had the LTN156AT02 installed. 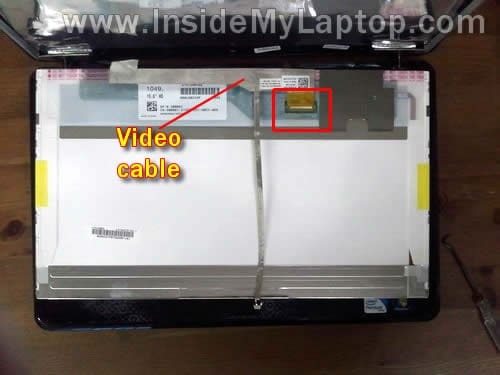 Does the video cable come with the screen or is it a separate part? I suspect the cable might be the problem with mine, since the screen goes blank when the cover is tilted forward (toward the keyboard) just several inches. 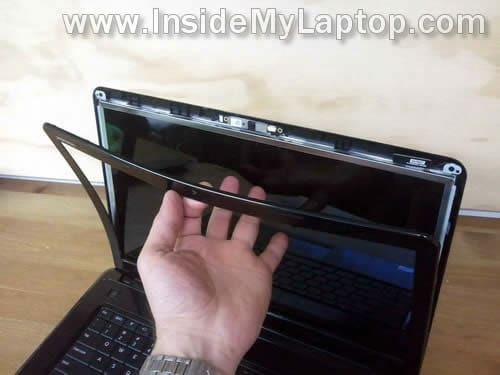 Thak you so much for this dissasembly, it helped me to repair my uncle’s LCD screen. Thanks so much again. Thanks so much for this!! I was frantic when my screen cracked, worried that I would have to pay tons of money for someone else to fix it or get a new computer!! But your site made it so easy to follow, I had it changed in about half an hour!!! Thanks again!! 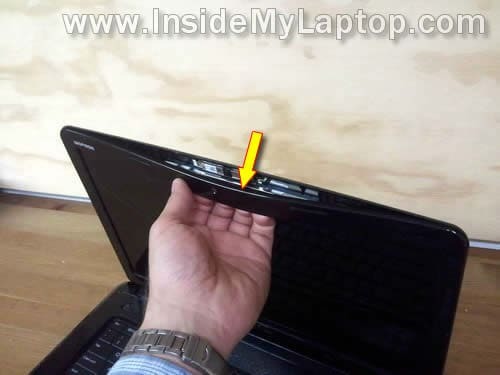 where is the best place to buy a replacment screen for dell inspiron n5050? There are lots of new screens available on eBay or Amazon around $55.